Diandra is a clairvoyant intuitive metaphysical healer, able to see and communicate with your many auric fields to release emotional traumas that may be manifesting in the physical or mental fields. Her gifts are quite extensive and she is able to speak to the "problem" directly to achieve clarity in your releasing it. Metaphysical healing is part of the larger field of Energy Medicine. It is based on the belief that negative mental, emotional or physical patterns, left unchecked, can eventually result in dis-ease or illness; and that the reversing of those negative patterns into positive patterns, can in turn, lead to healing. The individual can be his or her own healer, responsible for creating either health or illness. Though western medicine dismisses the notion of metaphysical healing, there is little doubt that the connection between mind, body and spirit exists. Doctors routinely tell patients to keep their spirits high with supporting visits from family and friends, understanding that anything that makes a patient feel better mentally and emotionally, aids physical health also. Whenever we feel pain anywhere in the body, even the slightest twinge of a pain, be it emotional or physical, it is the body's method of sending you a signal. We need to take notice and listen. And we need to be proactive to undo the dis-comfort before it goes deeper and becomes dis-ease. Distance healings are also available by phone or Skype. Call now to arrange an appointment time. Receive caring intuitive clairvoyance from Diandra. Here in New York City or Distance Healing. Having relationship challenges with family, friends and everyone? 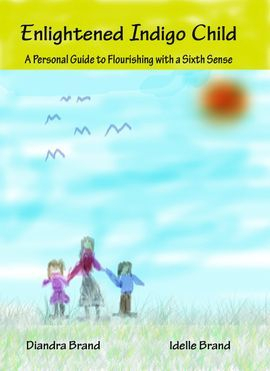 Read Diandra's new book to find your path to wholeness! Each time I have left feeling stronger and happier than when I originally came. I like how she is so grounded and knows how to get to the crux of the matter, even when I didn't know what was causing my problem.